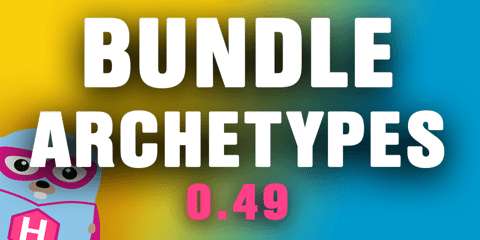 Hugo 0.49 brings archetype bundle support and collection goodness. Hugo 0.49 brings directory based archetypes and also improves the language handling in hugo new. This should simplify working with page bundles. One example of this would be how you now can create a new showcase for the Hugo web site. added append function to append to collections. added group to create custom page groups. improved the type support in slice. This release represents 66 contributions by 9 contributors to the main Hugo code base. @bep leads the Hugo development with a significant amount of contributions, but also a big shoutout to @moorereason, @felicianotech, and @vdanjean for their ongoing contributions. And a big thanks to @digitalcraftsman and @onedrawingperday for their relentless work on keeping the themes site in pristine condition and to @kaushalmodi for his great work on the documentation site. Many have also been busy writing and fixing the documentation in hugoDocs, which has received 37 contributions by 20 contributors. A special thanks to @bep, @kaushalmodi, @AlexChambers, and @shaform for their work on the documentation site. When setting preserveTaxonomyNames Hugo now really preserves them. Before this release, we would make the first character upper case. If this is the behaviour you want you can use the new strings.FirstUpper function.